Why does the violist think that playing violin is easier than playing viola? This thinking may be misjudged. The violin is unquestionably the perfect size for the tone it can produce. The contributing factor to produce such perfection is the back and string length. However, it is the ease with which violinists 'get around' the instrument that makes many violists smart with envy. 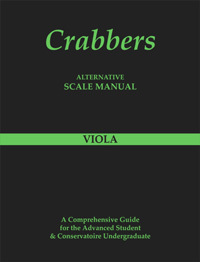 There is no doubt that contemporary compositions make considerable demands on the violist which has seriously impacted on viola playing techniques. This 'catching up' is now complete and similar to what violinists have to do. Viola notes in the higher positions are now common place for the advanced violist. Notes for viola that were once considered unplayable are now playable, and in some cases performed with relative ease. To learn viola notes and play them beautifully requires the violist to concentrate fully on bow positioning, weight and speed across the string. The left hand must be correctly balanced to allow the viola finger position to work. If a viola is made and set up correctly viola chords, and the resonances that they produce, will amplify the sound of the instrument. Therefore viola techniques in general become easier to accomplish.